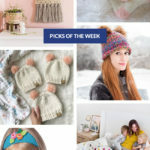 Weaving is having a moment this year, particularly for those wanting to DIY wall hangings, cushions, and other home decor items. 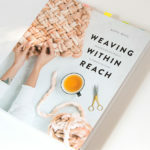 I jumped on board this trend by taking a workshop and checking out some vintage weaving books, not wanting to miss out on a craft that would surely make my mom say “Oh my gosh, Heidi, we were making wall hangings like this back in my day! 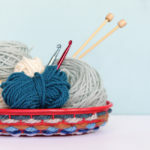 This is trendy again?” :) Weaving is a craft that’s incredibly easy to have some success with right away, so beginners who get frustrated with knitting (kids come to mind) might find weaving a good first yarn-related craft to learn. 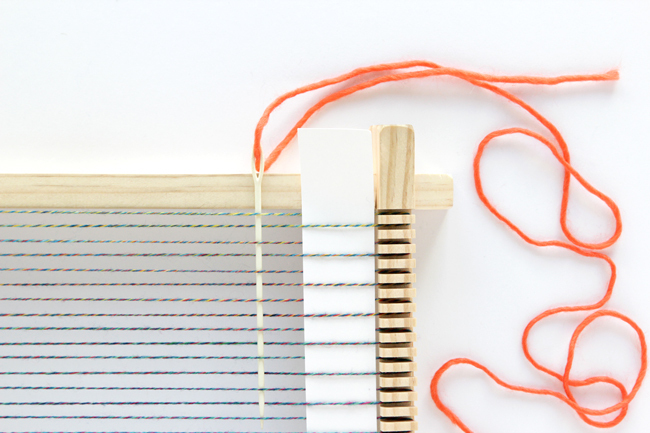 Begin by assembling or DIYing your loom. 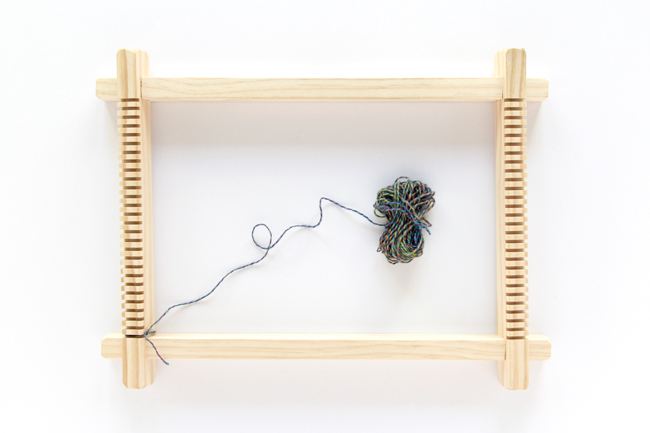 Tie the end of your yarn to the first slot on one end of your loom, securing with a tight knot. While you can really use any yarn or fiber to weave with, the yarn you use for this step of the weaving process needs to be relatively strong as it will be pulled and pushed on as you make your weaving. 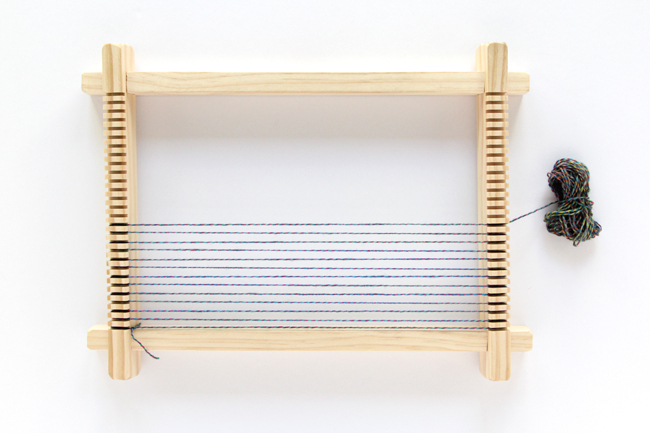 Draw your yarn around the loom, catching end in each slot as you go. 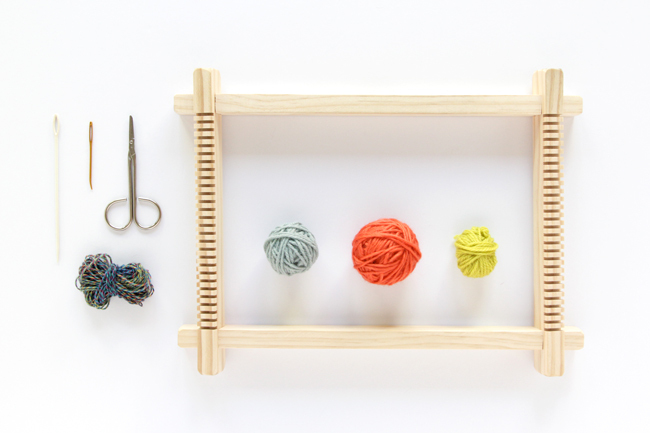 Many DIY looms are wrapped by bringing the yarn around the outside the loom. Store bought looms like the one pictured have little notches that are wrapped by running your yarn around the front of the loom only, and are easy to “cast on” with. When you reach the far side of your loom (or the width you’d like your finished weaving to be), secure the other end of the yarn with a knot and break your yarn. 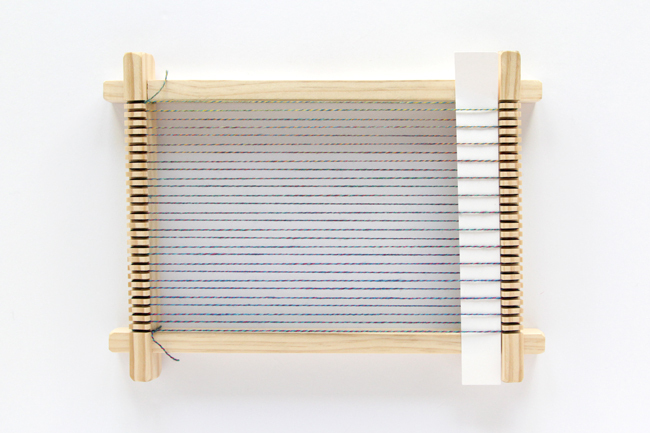 The threads on your loom are called the warp, and it shouldn’t be too tight or too loose. 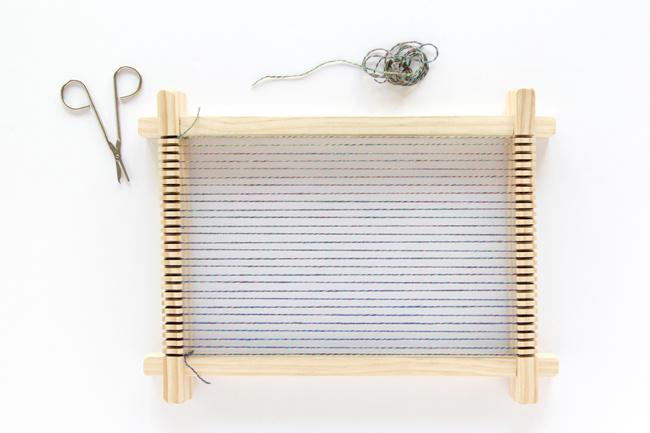 You’ve got to be like Goldilocks when you warp your loom – not too tight, not too loose, just right! Known by a few names, the most basic and common weaving technique is the plain weave. Simply accomplished by weaving a tapestry needle threaded with the fiber/yarn you’d like to use, you sew it over and under every other stitch of your warp for the first “row” and then alternate the warp threads you weaved under and over for the following “row.” Easy! Like I said, weaving is an easy craft to have early success with, but it gets more involved as you learn more and start experimenting with different weaving styles and fibers. As knitters, we understand the importance of tension, and in weaving, as you’ll quickly find out, it’s critical to master tension to get an even shape. For now, though, have fun warping your loom and experimenting with your over-unders. 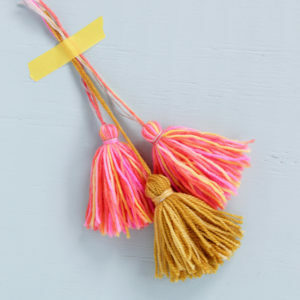 Weaving is really fun, and it’s an amazing stash buster for knitters with lots of beautiful yarn ends in need of a good project! Have you ever woven before? Have any questions for me? 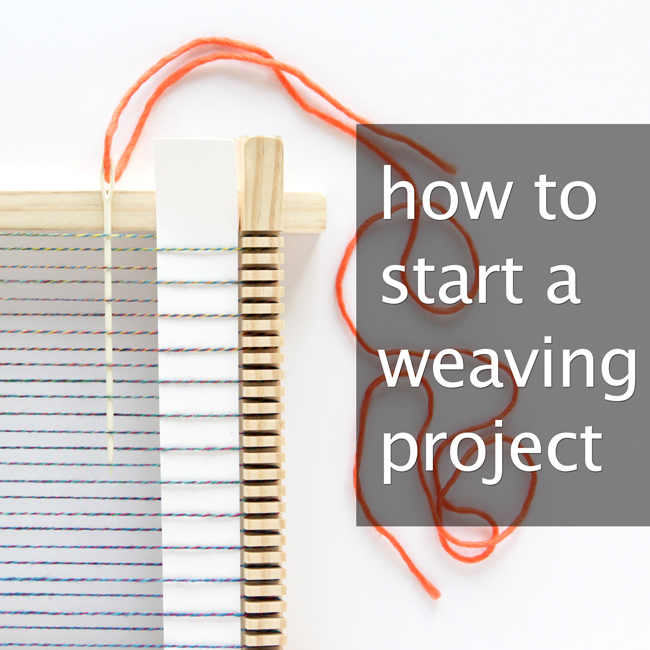 I’d love to hear about your weaving experiences and know what sort of weaving tutorials you’d like to see in the future! Wow I love the weaving! My daughters 14 and 12 and I have a few weaving projects planned for the summer ie weaving a rug on a hula hoop frame etc. 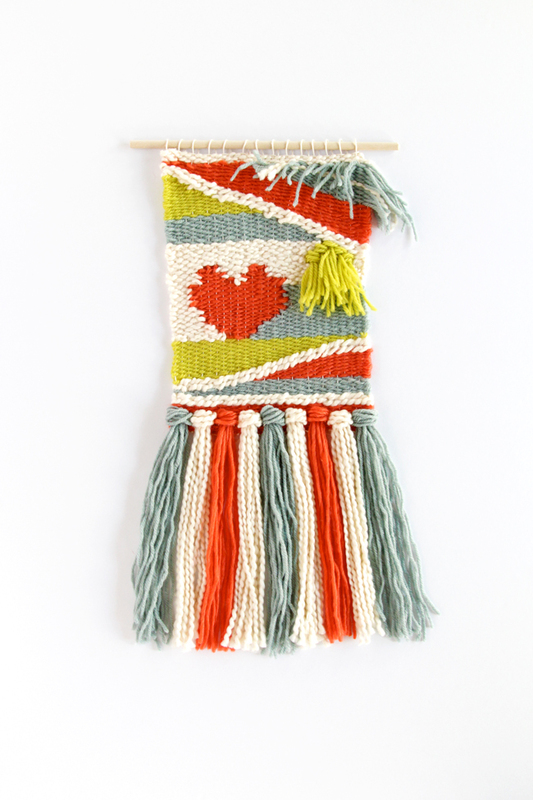 Love your weaving more please! Did you weave the heart first and then fill around it? Pretty much! I’ll do a tutorial on adding shapes to a weaving soon & have more details for you then. :) yay, weaving! Heidi, can you link the follow up tutorial on adding shapes to the design as I can’t seem to find it? am completely confused and you have been the easiest to understand thus far. Thanks! I haven’t done a follow up tutorial on adding shapes to a weaving project yet, but it’s on the ever-increasing list to do! Do you have any particular shapes you’d like to see prioritized? Your first weave is really cute, you did a good job. Great tip with the cardstock, thanks !